Tossing It Out Tossing It Out: #iwsg: Shorts for the Summer? Once again it's time to share and support one another as we examine those writerly insecurities and doubts in which we all have occasion to dwell now and then. Alex J Cavanaugh is the captain of this ship. 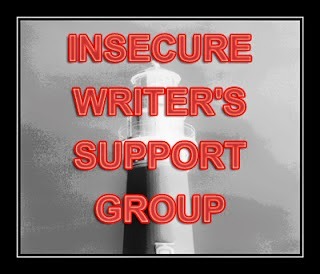 Let us set sail on another cruise of the Insecure Writer's Support Group. I have an inclination toward writing in depth. Some may call it wordiness. I prefer to think of it as explaining things thoroughly. But the hot days of summer are ahead. There is fun to be had and traveling to do. Maybe it's a good time to cool down on the longer blog posts and get short. I need to get hot with my writing and cool off the blogging. Can it be done? Karen Walker does it well at Following the Whispers. I'll try to follow her example. That doesn't mean I'll be successful. But I can try. Sometimes. For me this could be difficult. Can you write effective short posts? Does it kind of thrill you when you come to a blog where the post is short? Have you visited Author Karen Walker's Following the Whispers? #IWSG - Am I Brave Enough? IWSG: What's it all about? Just like you, I'm also taking a breather from blogging, and concentrating on writing more. In the summer I have a tendency to ignore my blog and write short STORIES rather than posts or novels. This year, however, I have a November release that is in desperate need of a spit shine. Pretty sure those shorts won't see the light of day. I shall strive to stay consistent with my blog - with SHORT posts!!! Thanks for the idea. Definitely going to steal it! I think that's the shortest post you've ever written! Mine will always be long, but they are in short segments for easy digestion. Something for everyone. I've read many posts that were short and effective. I think I've written an effective short post once or twice. It can definitely be done. Good luck! Well since I'm coming into the second season of the year when I'm a prisoner in my home due to humidity and heat, I can def. write long posts! Sittie -- I need to take a breather from a lot more than blogging. Terri -- Blog traffic always seems to go down in the summer so might as well not invest too much blog writing during that time. I'll try to keep up quality as best I can. Alex -- Fewer is about the same as shorter in a sense. Laura -- Same here. I think you're right. JoJo-- You can take up the slack where the rest of us wane off. I try to write short posts because I have a habit (not always a good one either) of skipping out on long posts. The topic has to really interest me. Sometimes I'll skim, but generally, there's a lot to do in a day and sometimes I don't have time for long posts. And since that's how I think, I try to keep my posts short and to the point for others. Although, Alex's posts cut into segments does keep me reading. Sometimes I can and others times, nope. This past year, I've been writing up a storm. At first I tried to finish an YA novel (twice). I don't know whats wrong with me, but it just isn't happening. So I went back to my shorts and I've written almost all of another collection. Now I'm rewriting. Hope to by summer get them to readers. I say write shortly, so you can write longly on the more important writings. I'm guilty of long posts as well. I sort of meander my way to my point most of the time. It's strange because in my novels, I write short and then work on expanding. I wonder what the difference is. I write long, too, Lee. We just have lots of interesting things to say is all. But if you want practice at precision, I recommend doing a little drabbling--tell a story with setting, build, climax and conclusion in exactly 100 words. It's HARD to do within the actual spirit of having all the story elements, but it is a really good exercise. But in real life, I write long and then cut the crap... otherwise I end up with messed up timelines. I do appreciate a well written short post, but sometimes they need to be longer. :) Balance must be the key. ha. Mine are a tad bit longer in the summer just because I have more time! Patricia -- I admit guilty to the same. My posts are shorter than they used to be, but still I'd like to make them even more succinct. Teresa -- For me it depends on what I'm writing about. But I like your final advice. Samantha -- I think it's the nature of the format and the topic. Sometimes I want to explain something thoroughly so it will be clear to readers. I want to see if I can do the same in less words. Hart -- I've tried some of that short fiction and have to admire those who pull it off successfully. But, yeah, I get so into some of my topics that I want to delve into them and cover all the bases. Margo -- That's true. Though I guess one might cite the show biz adage of "Always leave 'em wanting more". I'm going to see what I can achieve going shorter, but I don't think I'll be always able to do it. Sam -- I usually have less time in the summer since my wife is off from her teaching job during the summer and we do things. Yeah, I'm a big believer in short blog bits so as not to lose the reader's interest. You know the ol' slogan: K.I.S.S. ("Keep It Short, Stupid!") I always try to keep that in mind when composing blog bits. Incidentally, how'd your 'BOTB' turn out? Who won? I am glad you asked this question. Through the A to Z challenge I experienced all sort of different blog lengths and styles. I try to stick to my sweet spot which is a medium length post. I feel lighter and happy when I am able to create a short post and worry about myself, LOL, when they get too long. It is an interesting process. I find that with nonfiction I can go on and on and have to eventually limit myself while in fiction I struggle daily to reach my word count goals. I know for many people writing a short post is harder than writing a long one...but reading a long post is always much more difficult than reading a short one! My day job is writing blogs and articles for clients and I learn a little from what they tell me to do! You should never have long blocks of text without breaking it up at all. I'm required to put subheads in every article/blog of more than 200 words because it seems less daunting to the reader. People also love "5 ways to..." posts because they can go through and see the points and read the rest if they want. Long blocks of text are just really daunting to the average busy, easily distracted reader. Oh yeah, I can keep it short. NOT REALLY! Unless, of course, I'm just posting a tune. BTW, speaking of tunes, I'm looking for your your BOTB results. Today's the day. some are more wordy than others... that's okay! it makes you you =) but if you want to cut back so you can write, that sounds like a good plan. thanks for inventing the a to z challenge - it's the best for making connections! I'm considering taking the summer off except for my IWSG duties at the site. All is relative. What's short for one is just right for another. Here's to experimenting and finding what suits you best. My summer shorts are old jean cutoffs. They work for me. Following the Whispers is a cool title. Chrys -- For me long posts can be somewhat compulsive. StMc -- Yes, you've inspired me to try to shorten some of my posts. My BOTB results will be announced on Friday. I have a special post ready to go for that and it will be longer than today's post. Stephanie B-- I guess with non-fiction we try to cover more bases and eliminate any open ends. Can I do some of these effectively in few words? I'm going to test it out. Stephanie F --I try to follow that advice. I've actually brought it to the attention of some bloggers when they have huge unbroken blocks of text but so far they've always ignored me. They don't get many readers either. It's their loss. FAE -- Since I didn't want to conflict with #ISWG I'm doing my results in a special post on Friday. I mentioned that on my original BOTB post. I'm trying to keep my posts shorter. And for me that's difficult. Tara -- I need more time to write and I've got some summer travel scheduled which probably means I won't be writing like I should. L.Diane -- Since the summers can be slow it might not really hurt that much. C.Lee -- I like to experiment on this blog. Andrew -- Your name is synonymous with brevity--in comparison to some things I suppose. I used to write much longer posts, but try now to keep them under 500 words. It doesn't always happen, but when I force myself to focus on what is most important, I can usually chop a paragraph or two. All depends on the subject you're writing about. When I saw the title I thought of you turning up at LA WITH SHORTS ON, how wrong can a person be? I write post that I feel are good enough or with things I want to share. At times I can get wordy. Especially during bloghops. Good luck but focus on maintaining your greatness Arlee. I am facing the same issue: trying to get more into my writing but I spend so much time on my blog that I often get sidetracked. So I'm going to take on the same attitude : shorts for the summer! And I do like short-ish blog posts because I can get caught up in reading blogs and not getting anything done. Great idea Lee: shorts for summer. Love it! I'm awful at short posts. I guess I just always have too much to say. :D Good luck to you! I like the idea of short post. I will need to try that and check out the blog. Liza -- When I start editing I usually add more stuff. I fall in love with my words. Yvonne -- No one anywhere is likely to see me in shorts. Sheena-Kay-- I'm thinking of going on a diet in the next couple months--oh, I don't guess by "greatness" you were referring to my size. CW -- Not even pictures. Takes more time than I want to invest. Angels-- I'll probably keep posts short but still end up with long responses to comments. Shannon -- Once I get going I sometimes have a hard time shutting up. Juneta -- It's worth a try for a while! I can when I put my mind to it. My A-Z Challenge featured short posts (for me at least, as I have a tendency to ramble a bit) and scattered on both of my blogs are short posts. I think my shortest post was about 55 words or so. Depending on who's blogging, I like both ~ long and short posts. I know most folks prefer reading brief articles, including myself. Of course, when it comes to my own writing I find it difficult to wind things down. I definitely will check out this blogger chick you mentioned. Maybe, I will learn something from her. Speaking of shorts, I am about ready to pull mine out and wear them the next time I am out running errands. It's heating up here in Knoxville, TN too much! Thanks for the tip! Brevity is not my strength with blog posts, most of the time. I tend to ramble. It's funny since poetry and short stories require word economy.